No images of Sahara Solar Australia Installations. It is too early to tell re Customer Service. The System is being commissioned this Thursday 3rd of May 2018. I have chosen 32 x LG NeON R 360W Modules with 25 year product warranty and 25 year performance warranty. 2 x Sungrow SH5K+EPS Lithium Battery Ready 5.0kW Inverter. Web enabled system with Internet dashboard via WiFi. I got my 3 solar quotes, plus another one from someone I knew. Essential Solar was not very competitive, even though the salesman dropped the price by several thousand dollars in a matter of minutes. In the end, the other 3 were within a few hundred dollars of each other. 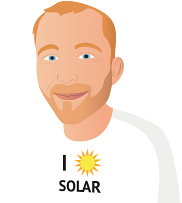 I decided to go with Sahara Solar because I felt that Simon was very knowledgeable and his advice made sense. He does try to push the lower end panels and inverters, but he realised quickly that I had done my research before talking to him. Once we established the brands that I would find acceptable, we quickly settled on the optimum system that would satisfy my needs. Ben, the installer, is fantastic. Couldn't ask for a nicer bloke. He is a good electrician, very knowledgeable, and takes pride in a quality installation. His work is neat and clean. He will not rush the installation. He'd rather come back the next day and finish the job properly. I would have no hesitation in recommending Sahara Solar to anyone, but as always, if you want a good system, for a great price, do your research before requesting any quotes. What a pleasure dealing with a company, sales person and installer that are expert and professional in their field. From helping us to understanding our needs to understanding the technical information, Simon made this process easy. Ben (electrician) who install our system took absolute care with placement of our panels and inverter. Simon and Ben have been available to answer questions post installation. We are very happy with our new system and are looking forward to many years of energy production. I found Sahara Solar to be a highly professional and efficient company. The manager - Simon Miller - is a qualified engineer and has a systematic and knowledgeable approach to design and installation of your system. He provides sound, scientifically accurate and valuable advice on all aspects of the job including cost benefit analysis and likely payback periods. Now that he has advised me on the critical issues, I am confident that I have installed the optimum system configuration for my house. Simon will only install a system that is comprised of high quality components as there is no point in installing a solar system that will require thousands of dollars of ongoing maintenance - say if the inverter fails, which is becoming a reasonably common problem with the bargain systems advertised on TV. You will therefore need to pay a little more than the bargain basement prices advertised on TV for a cheap system. I compared quotes for the same panel and inverter hardware quoted by Sahara and their quote was the most economical of the four I received. Simon installed a high quality Austrian designed Fronius inverter for my system and I am impressed with its functionality and web based data monitoring system. When initially installed, the factory inverter settings were not quite fully optimised for my local street voltages. Without the extensive data monitoring system, I probably would not have realised that I was losing about 10% of energy harvest due to this issue. This turned out to be a simple inverter setting issue that was quickly changed with the help of Simon, Ben the electrician/installer and Fronius. Electricity company coordination was also quick and simple. Sahara Solar provided the paperwork and I submitted it to the electricity retailer. United energy had the meter remotely re-programmed and the system was properly connected, configured, running, web monitored and metered within 4 working days of submitting the paperwork. The site work was carried out by Ben - a young, but experienced electrician. He did his utmost to satisfy my every wish regarding site installation details. I am a retired engineer and quite fussy about wiring standards etc. and Ben spent a lot of time making sure the entire wiring system was fully concealed, roof tiles were not damaged and the panels were installed exactly where I wanted them. Ben was always willing to listen and discuss the job and nothing was too much trouble for him. I am in no way affiliated with Sahara Solar - having never dealt with them before and I have nothing but praise for this company. Pros - see above. Cons - nil. I can highly recommend Sahara Solar. My project was a difficult one that required close coordination between owner and installer. Sahara Solar is a small company that gives excellent individual attention and they can sort out the various issues that I had on my project - terracotta tiles, limited roof space, limited orientation options, two storey, limited concealed wiring space etc. etc. We looked at 4 suppliers. Three from your service and one other. The one other was dreadful, being hugely over-priced, lacking in knowledge, and cheaper components to boot. Of the 3 quotes provided one was very slow to respond and missed the opportunity. The other two were both very good, knowledgeable and professional. I have used the information on your website extensively and would recommend it to others. The quotes I Received varied from $11k to $21k. I was interested in the Tesla battery only one offered it most wanted to denegrate the company saying that Tesla would not last for long. Each company had its own named equipment and thus different ways of operation although the basics still applied. Sahara reccomended a system slightly larger than ''AUSNET' would normally approve as I required battery thought it would not be a problem still waiting approval from ' Ausnet ". I think it was great to have three quotes on the same day and having time to make a formal decision without the usual pressure of signing on the day or miss out on the huge discount offered at the time, etc.. The three quotes provided a great glimpse of the cost of various solar systems. I was told that the rule of thumb is you pay approximately $1000 per kW. 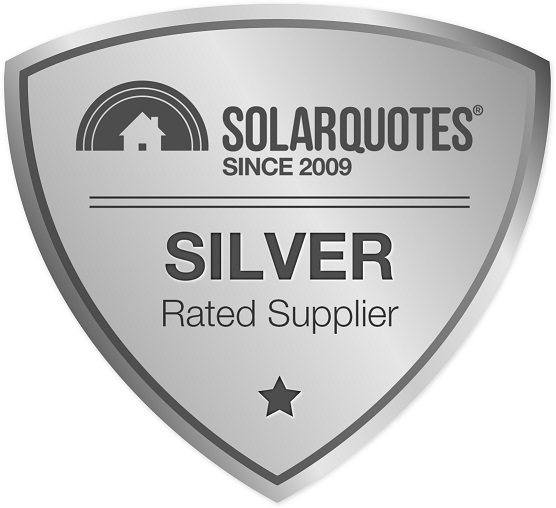 Out of the three quotes I chose Sahara Solar because they provided a quote that couldn't be matched, and although it was a larger solar system than what I had planned (5kW), it still worked out better and I was getting a kW for less than a $1000. At first I got the impression that Simon (the engineer) was pushing for me to accept a larger solar system (8.7kW), but now, I realised that a larger solar system will feed in to the grid on good days and in winter it will still be able to supply power to the house during the day. So all in all as it turned out to be, it was not the case. Simon advised me to invest in 2 new inverters, so I could utilise the solar power during the day to warm the house and therefore cut-down on my gas. After all the electricity is free during the day. The installation was carried out by Ben and you couldn't have asked for a better electrician. He was at the premises in early hours of the morning and carried on until evening. It took him 2 days to complete the installation of 33 panels and inverter plus all the other electrical wiring neatly done and I had power to the house on the second day, and all rubbish was collected and taken away. Ben had to move my TV antenna due to the shadow on the panels and this was done to my satisfaction without a word. Ben assisted me in selecting a secure and shady place to fit the inverter even though it was a fair way from the main switchboard, and I am glad this was done with a lot of thought, as now I realise how hot the inventor gets on very hot days in Melbourne. I am now making 55kWh on a good day and 25kWh on a bad day which is more than sufficient to power my house (required 10-12 kWh) and feed in to the grid as well. I am told that the solar system installed is compatible with battery storage if required at a later date. I was never thinking of installing solar, but now since I have had this installed I sorry that I didn't do it earlier on. Simon was happy to come and talk to us face to face and offered us a good deal on a system larger, than what we initially considered. Ben who installed the system was efficient and punctual. The system allows us to log online and monitor the performance on a daily and monthly basis. Ben installed it as in a day with no fuss or bother. He was friendly helpful and efficient.